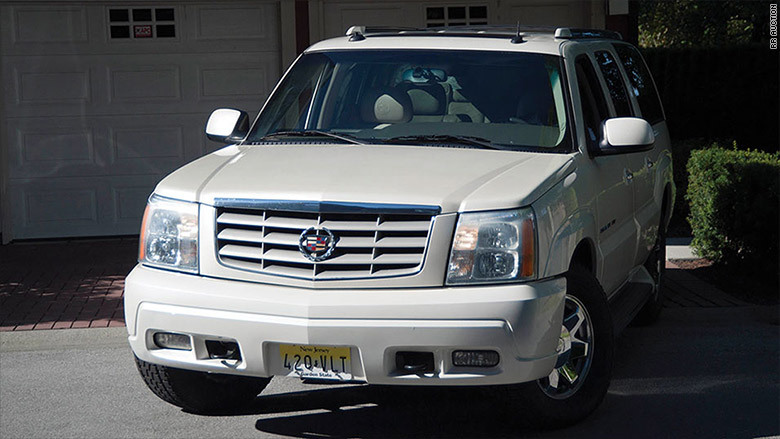 The Cadillac Escalade driven by Tony Soprano on the hit Showtime series ‘Soprano’s’ has sold at auction for $119,000. The 2003 model vehicle, driven by late actor James Gandolfini in the last three episodes of the series, was auctioned off by RR Auction. The vehicle had a resale value of only $8,000 when it hit the auction block on November 12. RR Auction expected the Soprano car to sell for between $30,000 and $50,000. The vehicle was used during the last three seasons of the series, and was frequently featured during interior shots and exterior shots. Before he passed away in 2013 Gandolfini signed the vehicle’s interior inside the driver’s side sun visor, on a panel above the glovebox, and on the back of the driver’s seat headrest. In 2013, a 1999 Chevrolet Suburban from Soprano’s sold for $110,000.